You can do anything on your phone. It's a step counter / day planner / podcast blaster / fish mating call emulator. So why even have books anymore? WALL-E was wrong, the future IS digital, so burn the world's literature! Well, not so fast. 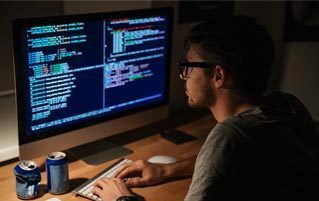 It turns out there is something to be said for the old-fashioned ways of doing things, and it's not just hipster mumbo-jumbo. Science has confirmed that reading and writing by hand actually makes a difference in your brain's ability to recall and process information. So if you want to fully utilize your brain, have a peek at these special deals available now in the Cracked Store. Most planners encourage you to simply write down your schedule, but Zermodus kicks it up a notch by encouraging you to visualize your goals. We're talking morning visualizations, daily mantras, and 104 gsm super smooth white paper. 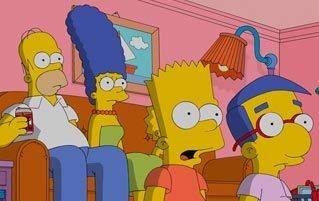 Best of all, you can spend your time visualizing instead of merely planning, which is like 50 times more mysterious and attractive. 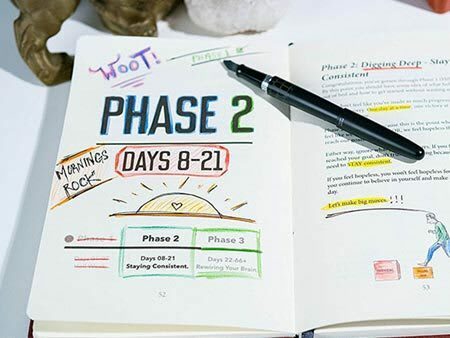 The Zermodus Everyday Visual Planner is just $24.99 -- 30 percent off its regular price. Being "mindful" sounds like hippie nonsense, like getting enough sleep or eating carrots. But it turns out to be actually pretty useful (like getting enough sleep and eating carrots). Each page of the Mindful Notebook contains an inspirational quote to start your day, and has gratitude sections to remind you what to be thankful for. There's also a journal section for the thoughts and notes that you'll be generating with all your mindfulness. Plus, the creator makes a donation to the nonprofit Foundation for a Mindful Society with every purchase. The Mindful Notebook is available for $21.99 -- 26 percent off the regular price. This little guy is carefully laid out to help you set and stick to your health and fitness goals. It basically does everything except wake you up in the morning (some things do still require technology). The Weight Loss and Nutrition Sidekick Journal is $25.99 in the Cracked store -- that's 31 percent off. The RockBook is eco-friendly paper from the future. Well, except it's literally made out of stone, so maybe it is from the past? But that's what makes it so smooth, tear-resistant, waterproof, and again, did we mention that it is made out of freaking stone! We're not even sure how. We're scared to try to find out. The RockBook Erasable Notebook Bundle is $65 in the Cracked Store -- that's 29 percent off. This is the last all-purpose notebook you'll ever need, because once you write on the paper with any pen from the Pilot Frixion line, you can then wipe the page with a moist cloth and you've got yourself a blank slate. Imagine all the doodles! Rocketbook is $59.99 in the Cracked Store -- 23 percent off. 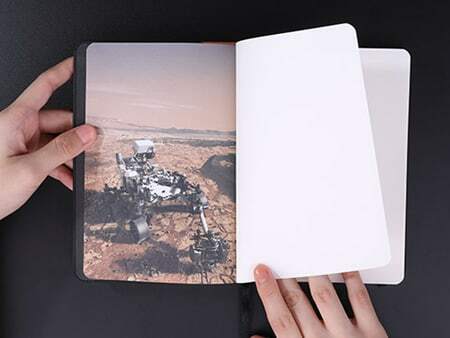 This AR-compatible notebook and 3D -printed model of Mars is the closest you can come to exploring Mars on your own -- at least until Matt Damon lets us in on his secrets. When you run your hand across the topographical model, you can feel an accurate recreation of every divet on the planet's surface. Who knows, maybe you can find water? The AstroReality Mars Classic is a very nice $69 in the Cracked Store -- also known as 22 percent off. Wanting to get into meditation, but not sure where to start? This book will come in handy. If you've tried sitting quietly and thinking about plums with little success, then the tips contained therein will probably propel you to meditation greatness. The Meditation Sidekick Journal is just $25.99 in the Cracked Store. Who needs a personal trainer when this book has all the same advice, is far cheaper, and fits in your bag? Plus, it definitely won't show up hungover eight months into your sessions, bragging about the new supplement it invented. 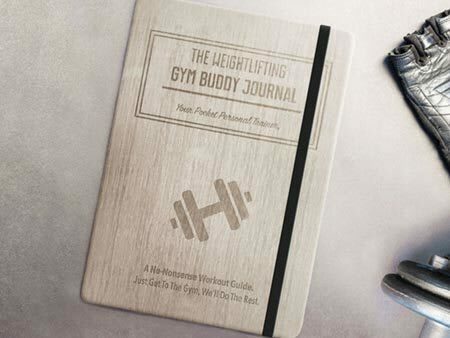 The Weightlifting Gym Buddy Journal is just $36 in the Cracked Store. If you're open to the idea of journaling your life, but you just need a pick-me-up in the morning, then the Morning Sidekick Journal is here to help out. Plan the toughest part of your day (the morning) before you even wake up. That way you won't have time to act confused or forget which way your shower is. The Morning Sidekick Journal is in the Cracked Store for just $24.99 -- that's 26 percent off. For more cool analog stuff, roll up your sleeves and check out this Breed Ranger Quartz Watch and these Odious Blocks. Worried you'll look out of touch? Fear not! Old School Is The New Cool With These Retro Game Consoles.